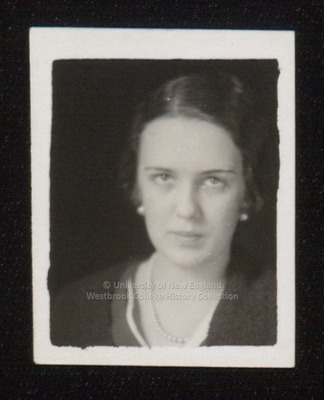 A ca.1934 Westbrook Junior College student portrait has written in pencil on the back S .Dyson. Miss Dyson's dark hair is parted just to the left of middle and is loosely pulled back to her ears. She wears a single strand of pearls and pearl earrings.